20th Century Fox is making a bold move. According to a recent press release, the studio is planning on adapting three of their most popular film franchises into television series. 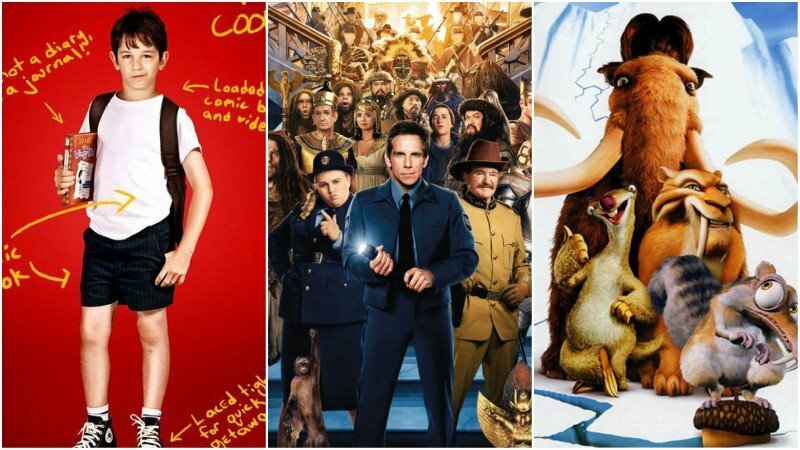 20th Century Fox’s Chairman and CEO Stacy Snider revealed to Wall Street Journal that they are in the process of developing three of their franchises into television series including Diary of a Wimpy Kid, Ice Age, and Night At the Museum. Diary of a Wimpy is based the best-selling novel series from author Jeff Heffley. It follows a boy who’s trying to survive middle school along with his bestfriend Rowley. There have been a total of four films in the franchise. Ice Age feels like it has been around forever. The first film in the series was released in 2002 with the fifth entry into the franchise hitting theaters in 2016. Voicing the prehistoric animals trying to survive extinction throughout the series were Ray Romano, John Leguizamo, Denis Leary, Queen Latifah, Josh Peck and Seann William Scott. Night at the Museum, which as released three films so far, stars Ben Stiller as the museum’s night guard where he finds out that everything comes alive in the museum at night. The news comes after an announcement of the impending acquisition of 20th Century Fox by Disney. There has been no announcement of anticipated release dates for any of the shows.